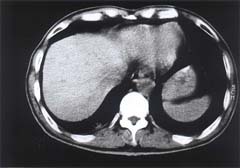 This particular patient was diagnosed with rectal cancer and had a radical operation in October 1996. 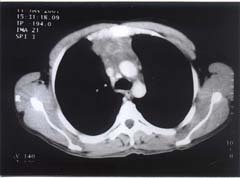 An examination in May 1999 revealed (from chest X-rays and CT) 4-5 metastatic tumors, ranging in size from 2 ×1.3 cm (largest) to 0.5×0.4 cm (smallest). 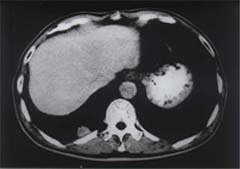 After one course of BRM treatment, all of the tumors showed marked decrease in size. After the second course of BRM treatment, the tumors had all but disappeared. The patient continued treatment for a total of 8 courses, and upon examination, the tumors had been reduced to size of a pinhead. 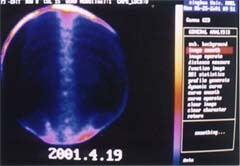 Two years after treatment had ended, the patient has remained in good physical and psychological health. He has been able to work on his research (he’s a scientist by training) and has participated in international standard dance training and competitions in his spare time, without any physical discomfort. 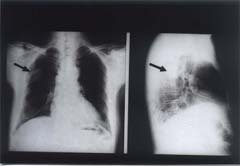 This patient was diagnosed with breast cancer and had an operation for tumor removal 14 years ago, She was found to have metastasis of the bone in different areas. She was bedridden and not self-dependent during daily life. She had to take analgesic drugs all the time. After one course of BRM medication, the symptoms were greatly alleviated. She could not only take care of herself, but also could buy vegetables at the market and make meals by herself. She no longer need analgesics. 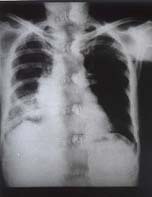 After two and a half courses of treatment the bone metastasis has nearly disappeared. After a period of medication, more than 80 percent of the patient’s tumors disappeared. 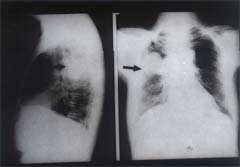 In the second and third course of treatment, the tumors continued to reduce to almost becoming invisible. After four courses of treatment, the tumor completely disappeared. 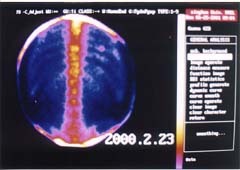 The center used yet another course of treatment to solidify this good effect. The patient has been doing well up to now. 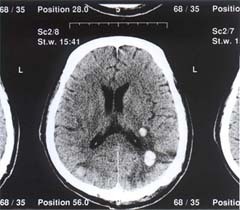 Before treatment the patient got headaches, vomited frequently and was bedridden. After two periods of medication he resumed work. After being treated by BRM for two courses, his tumor was reduced by 80%. His condition is otherwise unknown as he never came back for treatment. 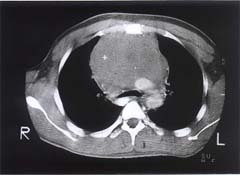 After a half course of treatment, the tumor reduced about 80%. 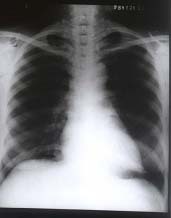 The patient had had a radical operation for cancer of colon. 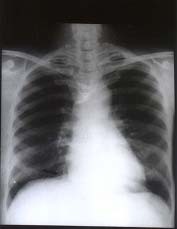 A year and ten months later, she had a re-examination, X-rays detected that there was an isolated nod of 1.2 cm at cardio-diaphragmatic angle under the right lung. 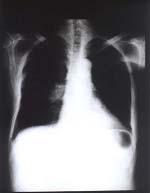 The possible diagnosis was lung metastasis after an operation for colon cancer. 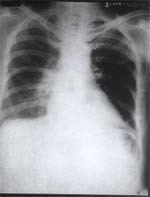 The nod in lung disappeared completely after taking 4 courses of BRM (5 months). She has had a re-examination this year and the cancer has disappeared. Her weight has increased and she is full of energy, and she can engage in hard work. This patient had breast cancer and had an operation to remove it three years ago. No sooner after the operation, a protuberance appeared by the breastbone, where the operation had been carried out. It then grew to 4 cm in diameter before she came to the center after half a year. The tumor almost disappeared after four courses of medication. This is a patient with squamous cell cancer metastasized from the ureter. After an operation to remove it, the tumor relapsed and metastasized to the inside and outside of bladder and the adjacent subcutaneous fat and skin. After two courses of medication the tumor disappeared at the bladder, but those in the subcutaneous fat and skin remained. 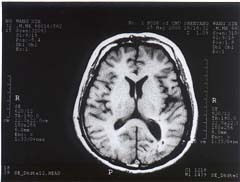 This patient’s glioma of the brain stem reduced markedly after four courses of treatment.